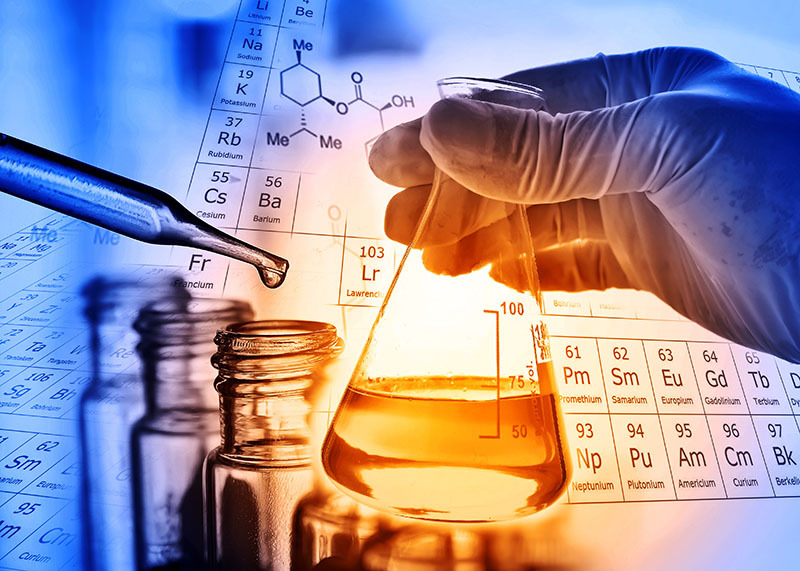 I am many things, but I am first a scientist. 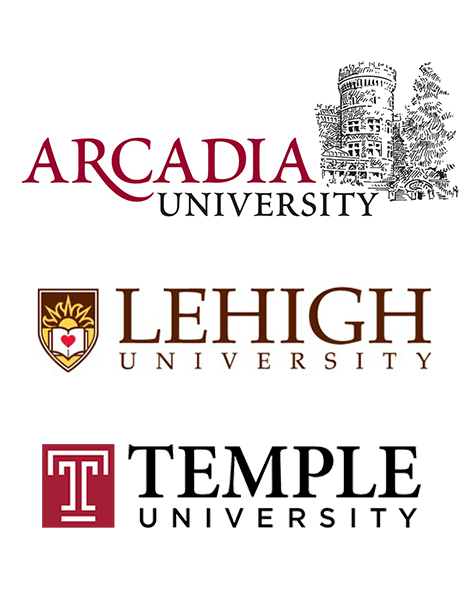 At Arcadia University, I double-majored in chemistry and mathematics with a minor in physics. I graduated at the top of my class. Except for an internship at Lehigh University, I never worked as a physical scientist, but the scientific method infuses my thinking. I earned a masters in mathematics from Temple University. Yes, I’m a Philadelphia boy. I thought about earning a Ph.D. and becoming an academic, but I was drawn to the practical world of business. 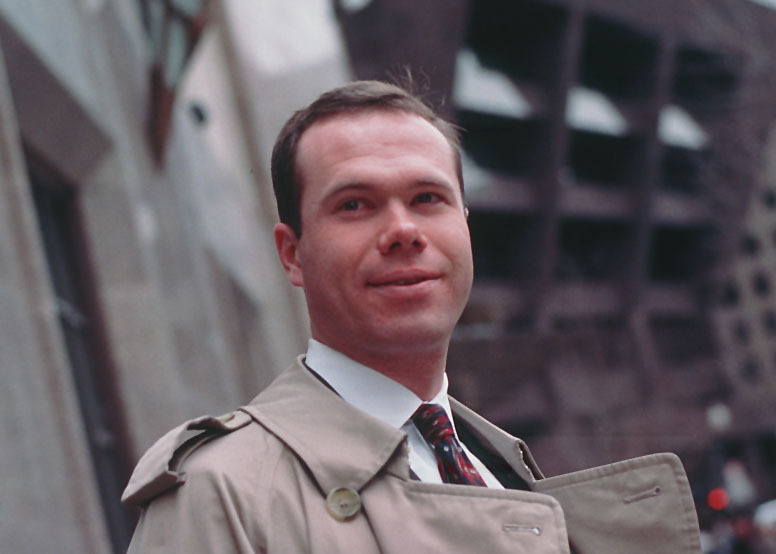 It was 1989, and the rise of Wall Street “quants” was a few years off. So I started taking actuarial exams and accepted an entry-level actuarial position with MetLife. My first job out of school had me immersed in risk. I advanced rapidly but soon left to work in investment management at Fidelity Investments. I never returned to the insurance industry, but the actuarial perspective on risk is something I have retained. I was still an actuary, but I was also becoming a finance professional, immersed in the perspective of risk offered by Markowitz, Fama and Merton. The fact that I have worked with risk in many contexts is one of my strengths. 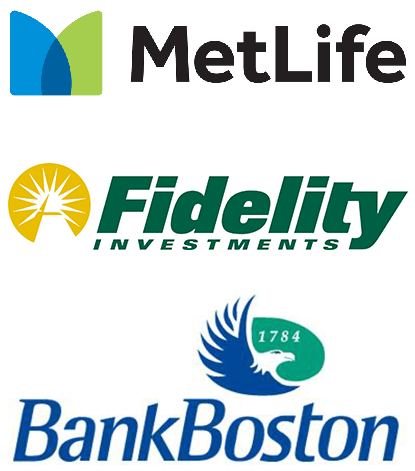 My next job was with BankBoston, now part of Bank of America. They were building the largest trading floor in Boston, and they had a team of programmers implementing a custom risk management system. My job was designing analytics for that system—both value-at-risk and potential credit exposure. 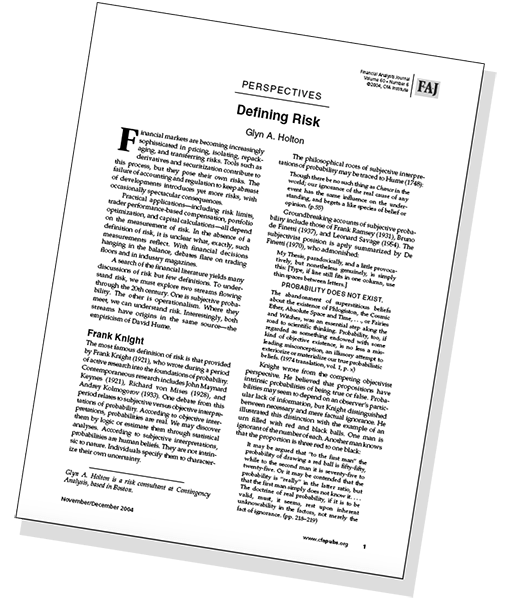 Financial risk management was in its infancy. There were no books on this stuff, and few papers. 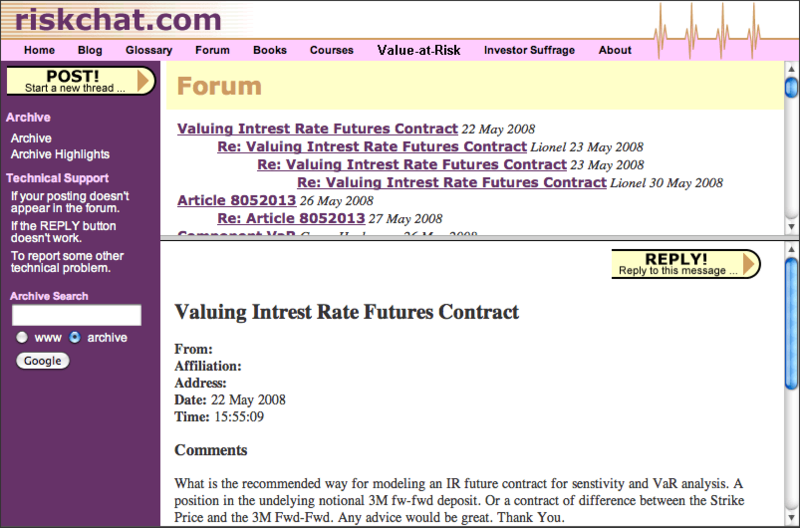 This was before J.P. Morgan released their RiskMetrics approach to value-at-risk. Even the name “value-at-risk” wasn’t widely used. BankBoston inexplicably called it “income-at-risk”. So value-at-risk (by whatever name) wasn’t invented at one bank. Each bank that implemented an early value-at-risk system went through its own process of invention, but with cross-polination of ideas among banks. I am proud to have been a part of that. I don’t know how I became known in the risk management field. One day, when Risk Magazine called and invited me to speak at a conference, I knew I had. I had been thinking of leaving BankBoston to form my own consulting practice, so I did. I spoke at that conference as an independent consultant. Following my talk, an executive emerged from the audience and said he liked my talk. He hired me on the spot and became my first client. At the time—maybe it was modesty—I didn’t want to name my business after myself, so I called it Contingency Analysis. That lasted a few years. But people know me by name, and I eventually gave in. 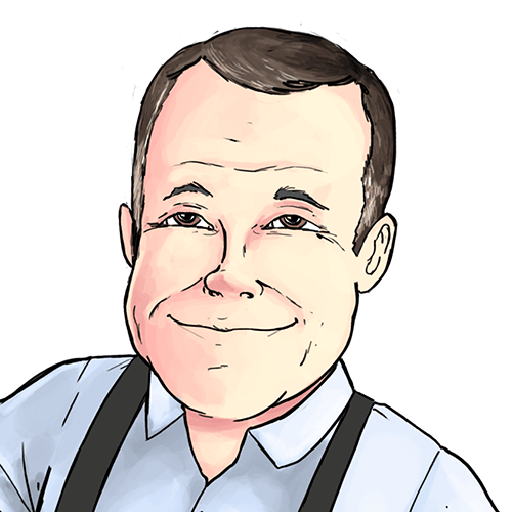 Today I consult under my own name, or under my primary website’s name GlynHolton.com. Publicity shot of Glyn from 1997, two years after launching his practice. 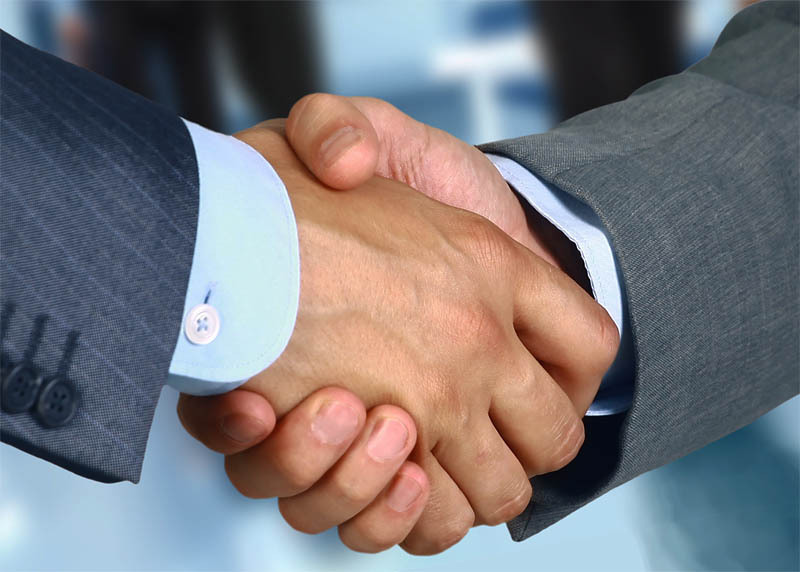 At first, my clients were mostly financial institutions and technology firms that served them. I consulted to a few commodities firms, and as my reputation grew, that part of my business expanded. Next, as deregulation of the US power markets accelerated, I started consulting to the energy industry as well. Today my practice is global, spanning capital, commodity and energy markets. What sorts of firms do I work for? 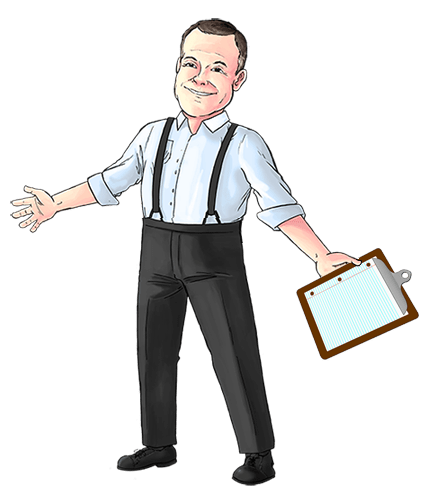 Over the years, I have worked for plenty: financial firms, utilities, manufacturers, wholesalers, service firms, traders, technology firms … I provide both consulting and training. For several years I conducted training for senior staff of a United States regulatory agency. I once ran training in value-at-risk for employees of a global consulting firm. I guess you could say I was training my competition, but I have never had difficulty finding clients. I was happy to help them out. I no longer call myself a “consultant”, preferring the title “coach.” This reflects my focus on helping risk managers succeed professionally. Of course, helping risk managers succeed helps the companies they work for also succeed. This has always been about more than me earning a living. I am passionate about risk and risk management. As a coach, I can only work with so many clients at a time. The need is bigger than that. 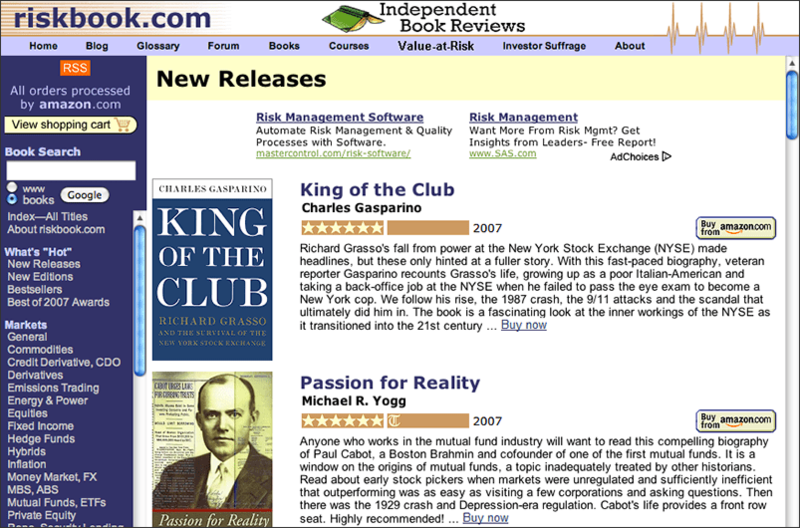 In 1996, I became an early adopter of the emerging Internet, launching a family of websites focused on educating and facilitating discussions among risk managers. 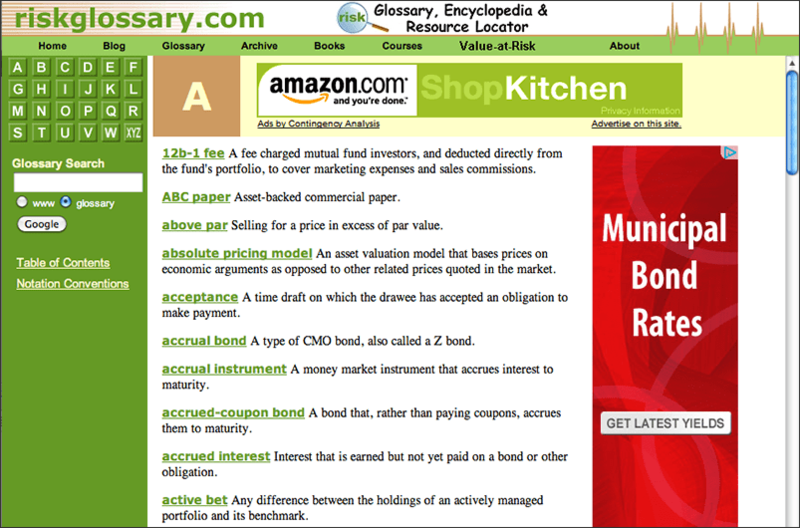 The websites included a glossary, a book review site, and an active discussion forum. In 2006, I launched GlynHolton.com as a blog. The Internet has changed in 20 years, and my websites have changed with it. Most of those early websites are gone. GlynHolton.com evolved into the central hub of my web presence. But it continues to serve my original purpose—educating and facilitating discussions among risk managers. 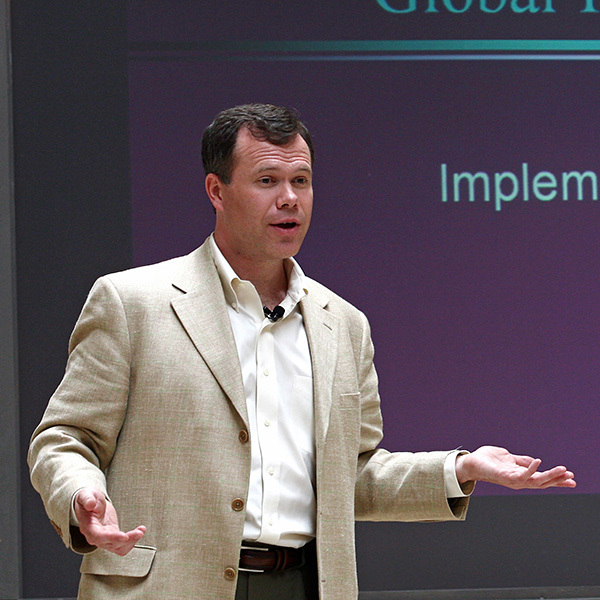 Glyn speaking at a conference in 2008. Another aspect of my work is research and writing (see Selected Publications). I must be a little haunted by that Ph.D. I never pursued, because I have published a number of journal articles. 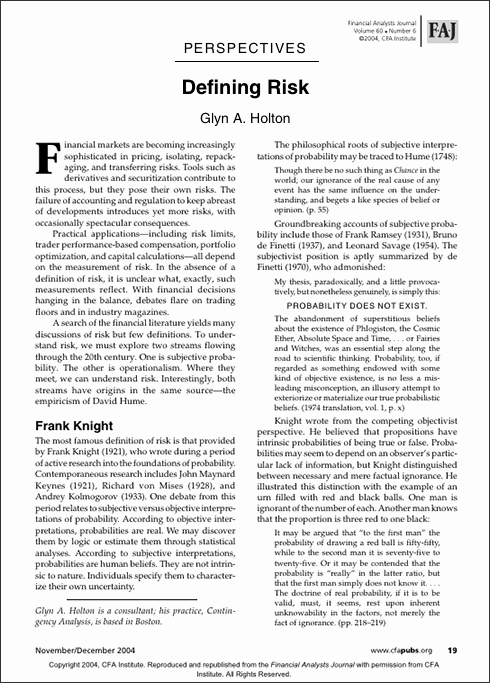 The most significant of these is Defining Risk, a paper on the foundations of risk. It has been cited over 500 times. 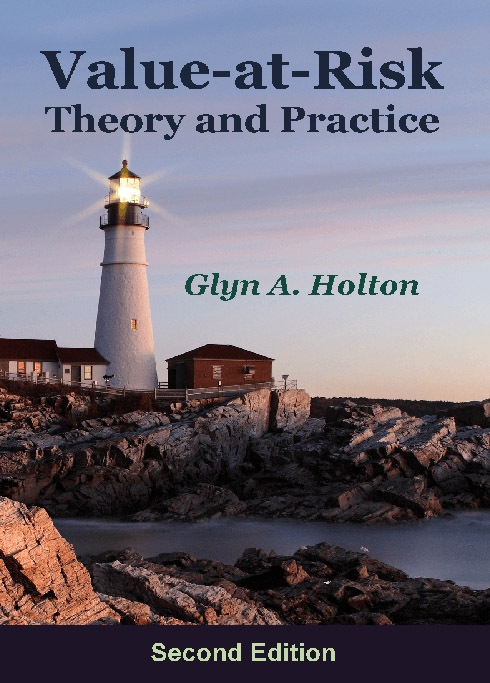 You may also know of my book, Value-at-Risk: Theory and Practice. It is the definitive text on value-at-risk, and I recently published a second edition available for free online. So this is my journey. You are welcome to join me. How would you like to get started?